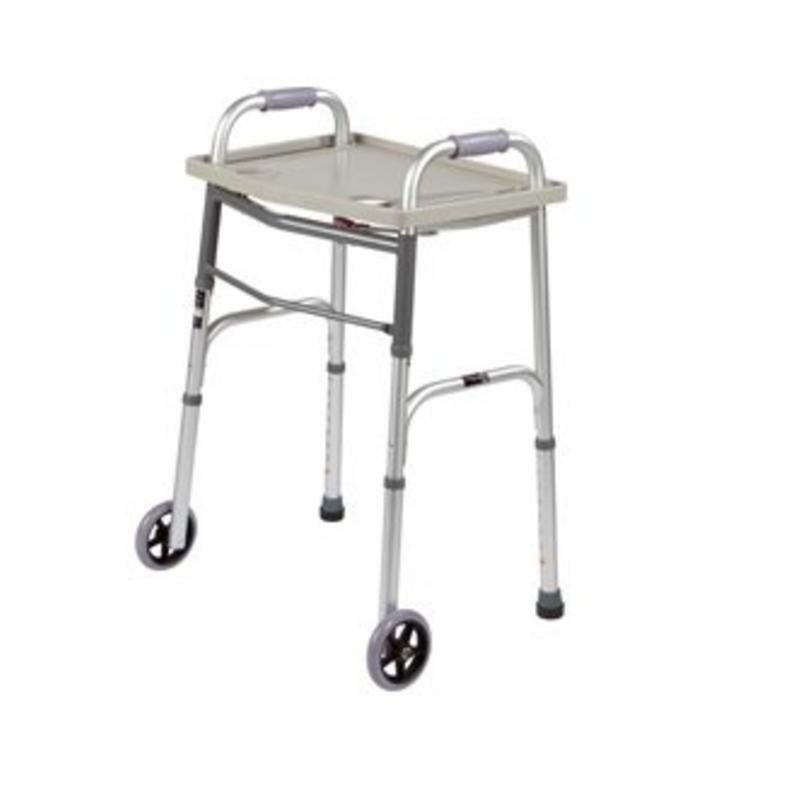 The Roscoe Universal Walker Tray fits most manufacturers' standard walkers. It's ideal for providing a surface to transport items or food and includes a drink holder for drinks. The Roscoe Universal Walker Tray fits most manufacturers' standard walkers. It's ideal for providing a surface to transport items or food and includes a drink holder for drinks. For those who need a walker, this is a perfect accessory to make getting around the home easier. • Openings are 2" x 11.5"